WATERLOO – Donna Kotsopoulos, a professor in Wilfrid Laurier University’s Faculty of Education and Department of Mathematics, was awarded the 2016 Partners in Research (PIR) Mathematics Ambassador Award. This national award celebrates outstanding leaders who promote their research through outreach activities and recognizes the impact of this research on the lives of Canadians. Kotsopoulos is known for her commitment to sharing her research with the wider community, including students, teachers, caregivers and parents. In a nomination letter, Kotsopoulos was recognized for being an ambassador to mathematics education and for her dedication to the field. Kotsopoulos’ research has shown that the basis for fluent numeracy begins even before children enter school. This research led to a transformative outreach program called LittleCounters, co-developed with Laurier developmental psychology Professor Joanne Lee. By developing public awareness of techniques to teach mathematics to young children, LittleCounters enables more children to have a stronger mathematical start at the beginning of formal schooling. In 2014, the Let's Talk About Math: The LittleCounters Approach to Building Early Math Skills book was released to extend the reach of the program. 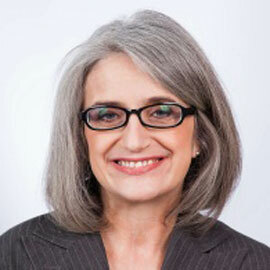 Kotsopoulos was previously awarded a Laurier Hoffmann-Little Award for Faculty Excellence and an Ontario Confederation of University Faculty Associations teaching award. The award will be presented May 3 in Ottawa.